Hampton Court Palace had been on our list of things to do with a dog for a long time. Finally, last weekend we went on an expedition to visit it with Argo and enjoy a dog day out in the sun. 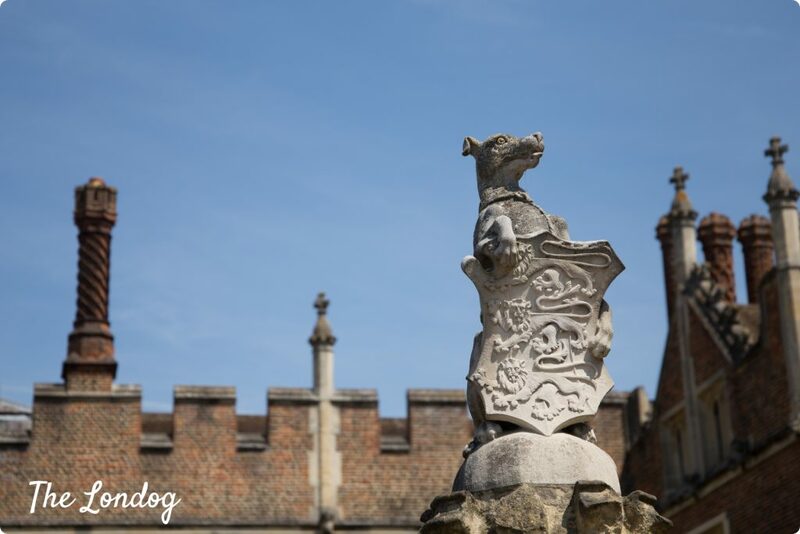 Since we didn’t find satisfactory the official information currently available online, in this post we hope to shed light on rules about dogs at Hampton Court Palace and tell you what to expect from your visit. 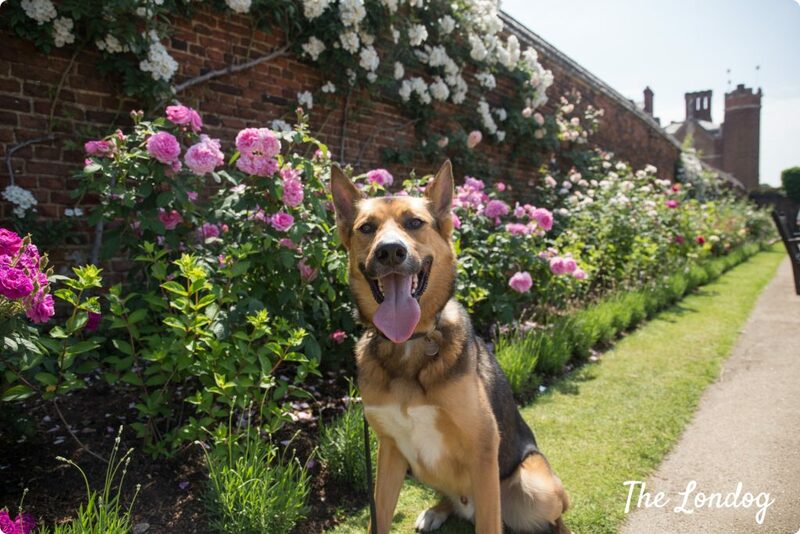 Hampton Court Palace’s website surprisingly lacks of clarity/comprehensive information about dogs’ access to the estate. The only available information states that only guide dogs (service and assistance dogs with their assistance dog’s identification book, but not emotional support pets) are allowed in the Palace. However, there is much more to know. the Tiltyard (plus you can see from the path the Kitchen Garden). 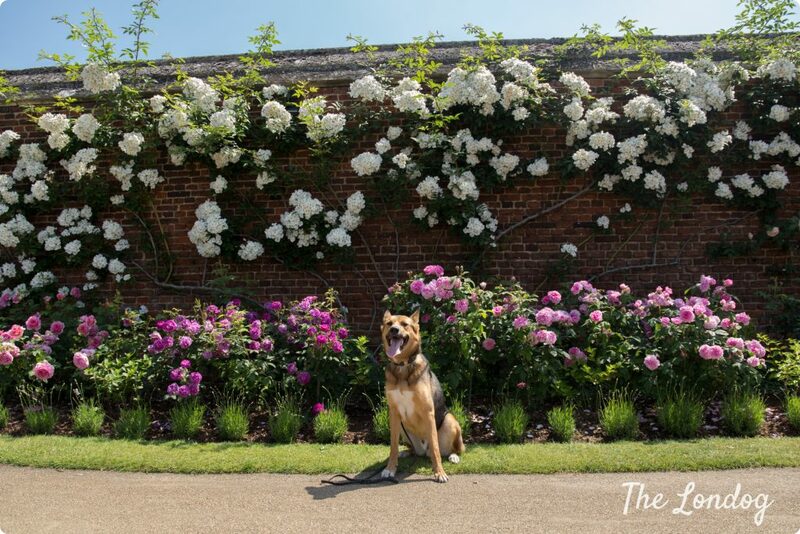 Even better news is that, while in order to visit the Palace and the Maze you need to purchase a ticket, you can visit all dog-friendly gardens at Hampton Court Palace for free! 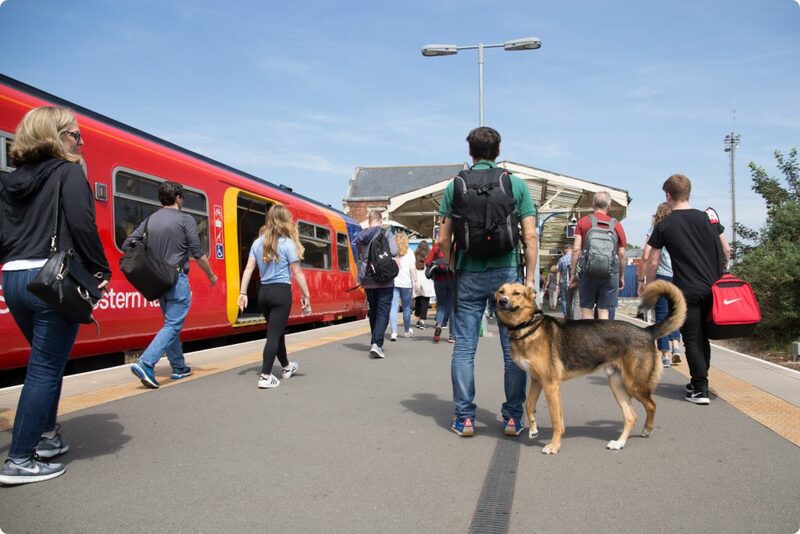 Getting there: dog-friendly boat or train? 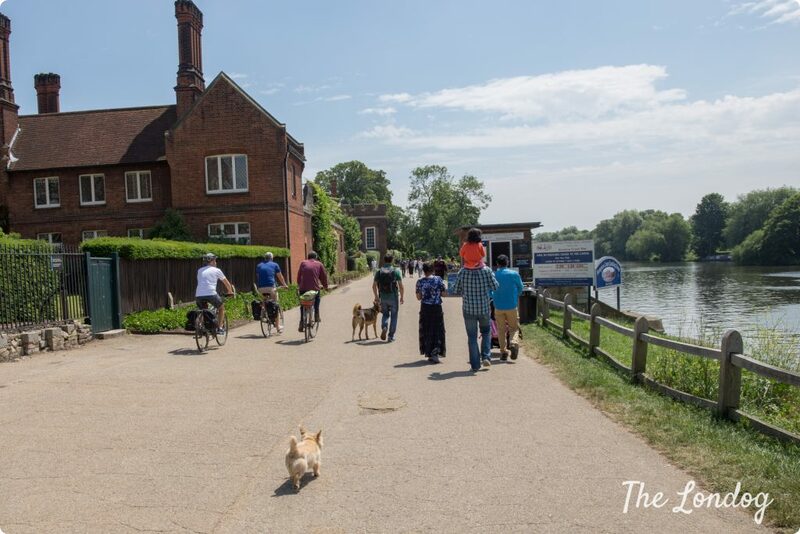 Having thoroughly enjoyed the dog boat tour on the Thames Clipper earlier last month on our way to the dog-friendly Brunel Museum, our original plan was to get a boat from Westminster and sail right to Hampton Court Palace with Thames River Boats. Thames River Boats are dog-friendly and allow dogs of any size as long as they are kept on a lead. However, we considered that a 4-hour cruise (and a £19 ticket per person) was a bit excessive for the time we had, so we decided for the train option. Thames River Boats, apart from the cruise from Westminster, also offers trips from Kew and Richmond to Hampton Court (£11 Richmond-Hampton Court, £15 Kew-Hampton Court, both adult single). If you are looking for a faster option from Central London, you can get the train like we did this time. We got the South Western train to Hampton Court from Vauxhall (but, alternatively, you can take it from Waterloo), using our Oyster cards. We found the train quite convenient, considering that there is a ride every 30 minutes or so and the travel time to Hampton Court is about 30 minutes. 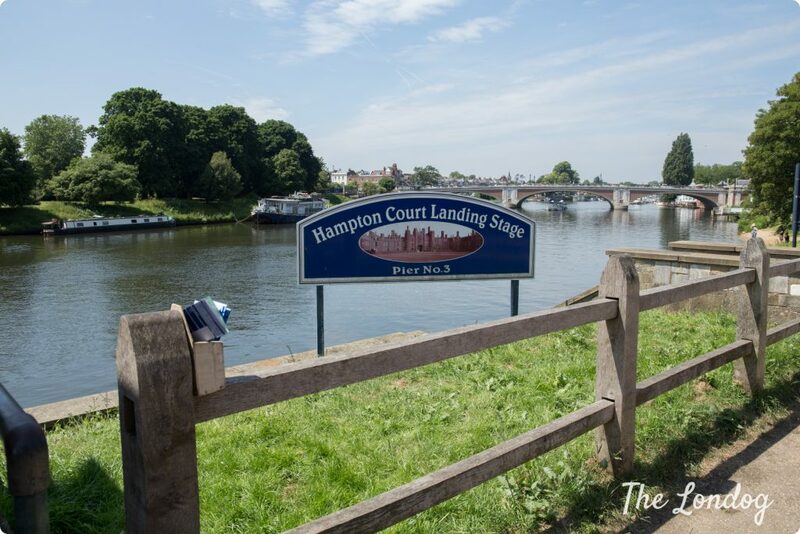 Once we arrived at Hampton Court train station, we just needed to cross the bridge on the Thames to reach the Palace. 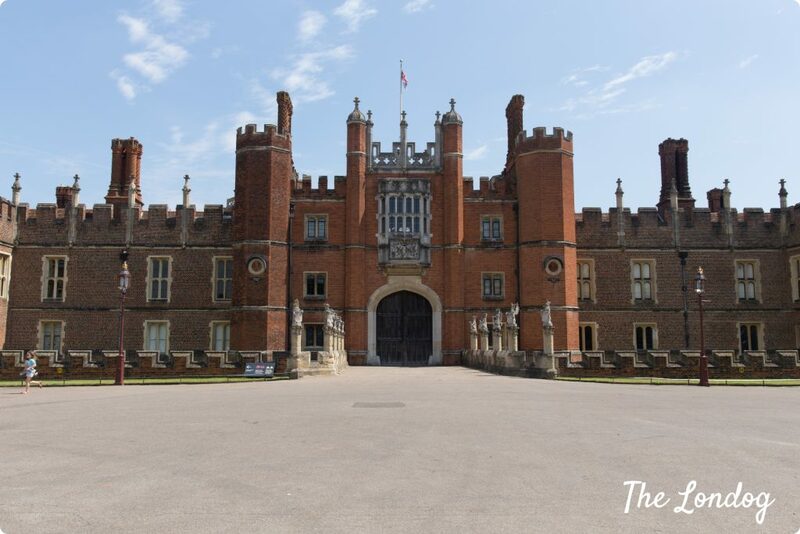 When you reach the big main decorated gates of Hampton Court Palace, the area behind the gates looks a bit intimidating with a massive lawn and path leading to the entrance of the Palace. 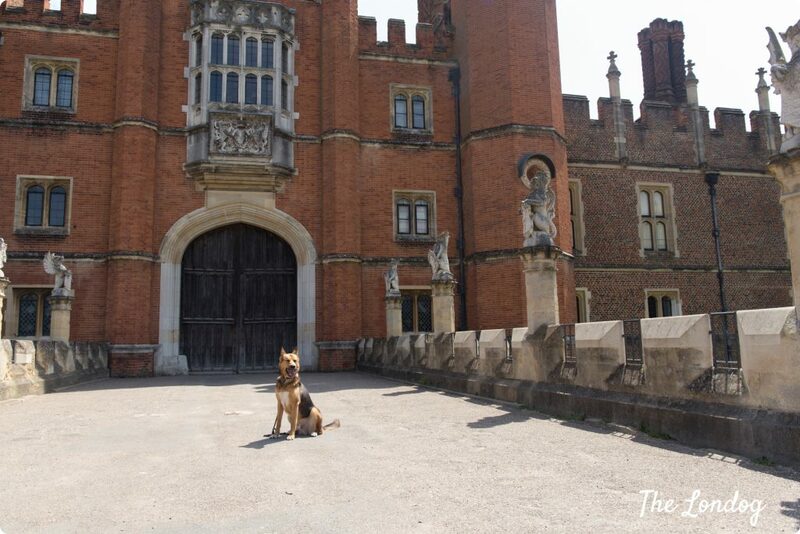 We found a water bowl for dogs right at the entrance next to the guardroom and took some photos outside the Palace. The stewards we spoke to confirmed which areas we could access with Argo and we headed to the left of the Palace to start our exploration. 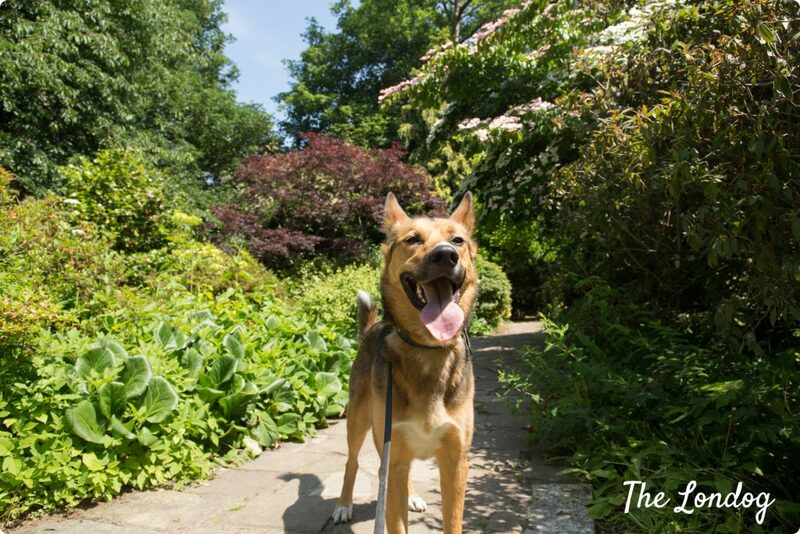 We were pleased to meet many dogs having a stroll in the gardens. The first area we encountered was the wonderful Rose Garden. The pleasant scent of the roses reminded me of my grandmother’s rose garden, but the colours and geometry of the Hampton Court Palace’s Rose Garden are probably unmatchable. Argo wasn’t particularly keen to be photographed on the day, and decided to roll on the grass as a sign of protest. Walking further on, you encounter the Tiltyard, which is the perfect place for a picnic on the lawn, under the shade of the trees. Many families got their lunches unpacked there or just enjoyed some relaxing time with many children running around on the lawn. 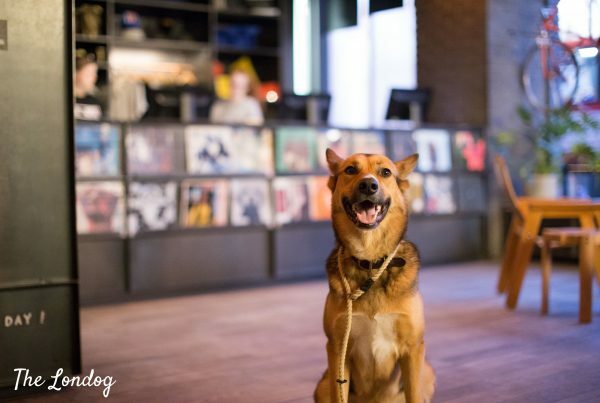 If you prefer sitting on actual chairs, there is also The Tiltyard Cafe, a self-service coffee and deli bar: they don’t allow dogs inside, but you can sit in the terrace with your pooch, provided that somebody helps you with the self-service part. We found some dog bowls on the terrace, but to our regret they were either empty or very dirty. 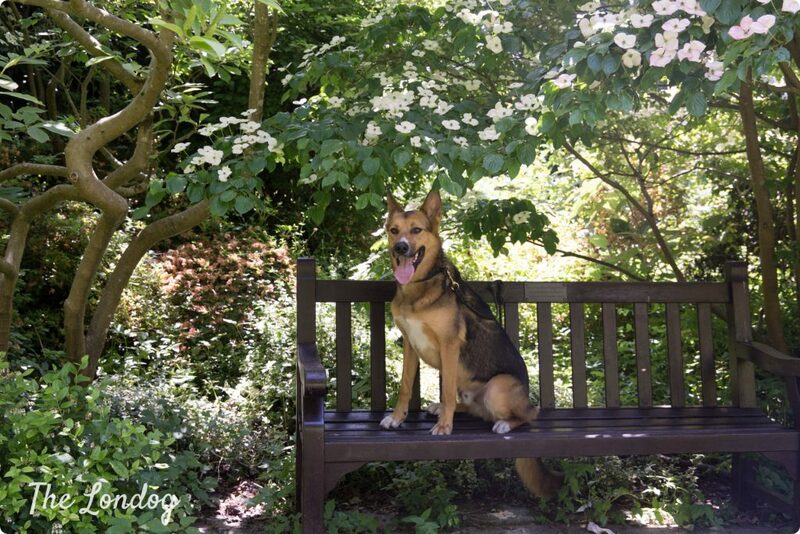 The dog-friendly part we most enjoyed after the Roses Garden – and, definitely, Argo’s favourite – was the Wilderness. There are woods, shrubs, long grass areas, hidden benches surrounded by flowers and other plants. Avoid the large paths and venture into the little trails to discover the best magical spots! If you want to stop for a snack, at the entrance of the Wilderness there is also a little kiosk selling cold drinks and ice cream. Dogs are unfortunately not allowed in the Maze (which is the oldest edge maze surviving in the UK), so my husband and I made turns to keep Argo while the other tried to find the way in the labyrinth. The ticket for the Maze costs £4.40 (or £4.90 with donation) and the exploration will keep you entertained for a while, so the person keeping the dog outside has time to have a good stroll in the meantime. They say that, on average, it takes 20 minutes to reach the centre of the Maze, but we were a bit faster and it probably took us some 25-30 minutes to get to the centre and find our way back to the exit. Just consider that, if you suffer from claustrophobia it may not be the best choice for you: the path between the hedges becomes quite narrow in some parts. 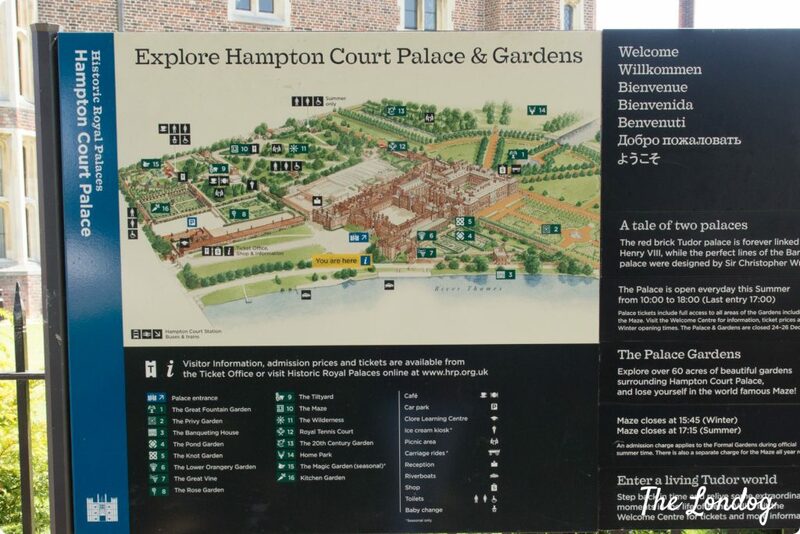 You can also have a stroll along the river, out of the fences of Hampton Court Palace. 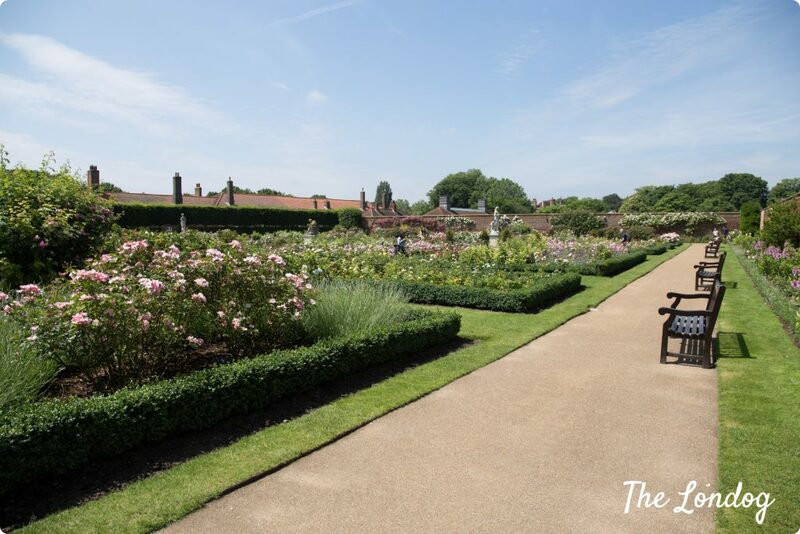 From the path you will be able to have a sneak peek of the Privy Garden from outside the fences! 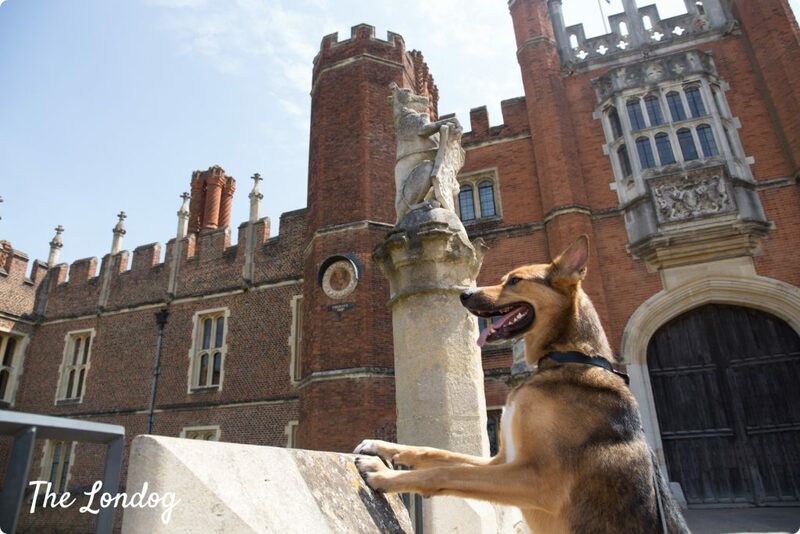 Considered that dogs must stay on a lead at Hampton Court Palace’s gardens, you can complete your dog day out heading to Bushy Park (right across the street on the left hand-side of Hampton Court Palace’s estate), which is the second largest of the London Royal parks. There you can give your dog some off-leash time. 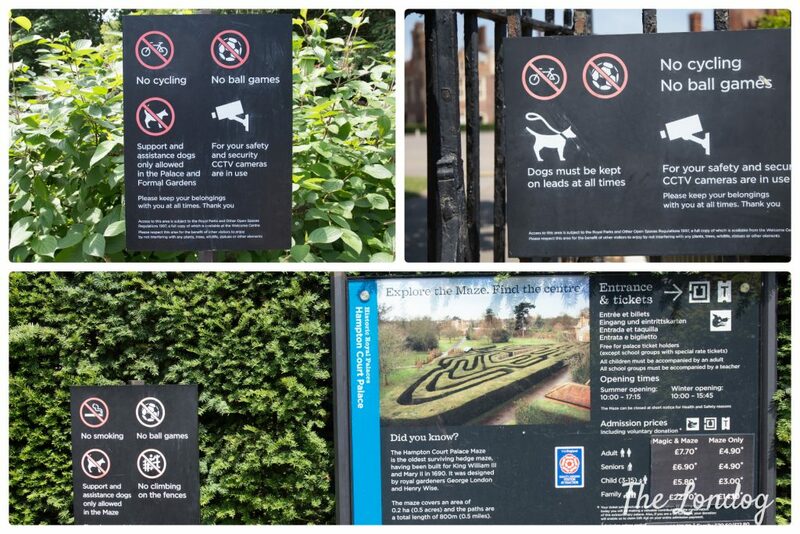 The only parts were dogs are not allowed at Bushy Park is the Woodlands Gardens, while they need to be kept on a lead in the Water Gardens and in proximity of deer. Keep in mind that herds of deer live there, so you may want to avoid embarrassing and dangerous scenes like the (in)famous Fenton in Richmond Park. 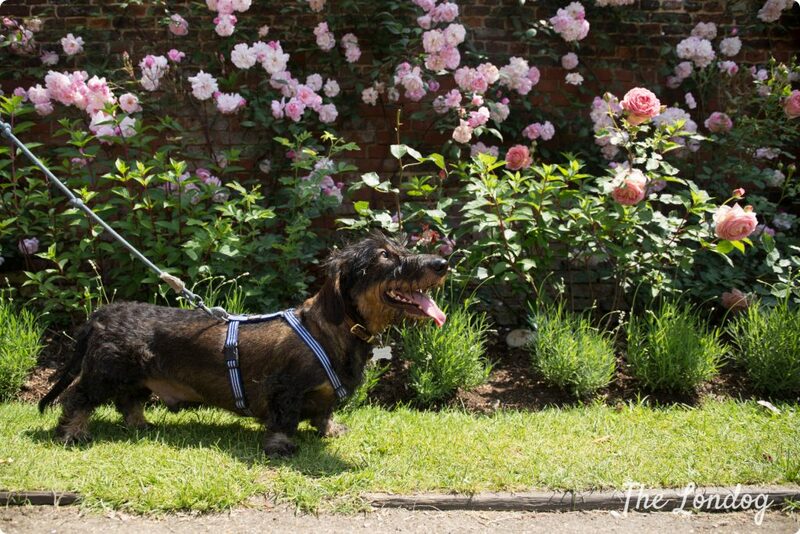 At Hampton Court Palace gardens we met the little lovely dachshund Barclay, who had just come back from the park and his owners told us that you must be very careful in this season with deer at Bushy Park. This because deer hide their new-borns in the bushes and may become aggressive if you or your dog get close to them. A distance of 50 meters is recommended by the Royal Parks, but of course you may still risk to find yourself in a dangerous situation if you don’t notice a hidden new-born deer. 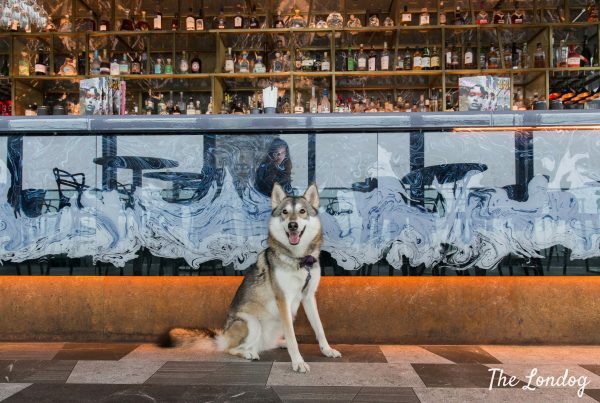 After our visit, we went for lunch to the dog-friendly Price of Wales pub, just a few minutes walk from Hampton Court station. The staff brought Argo a bowl of water and it looked like a few dogs we had previously seen at Hampton Court gardens had the same idea! All of them had been courseously treated with a water bowl by the staff too. The food was very good, so I would recommend it if you are looking for a bite after your visit. f o l l o w The Londog on F a c e b o o k.